Transitioning into a new culture is challenging. 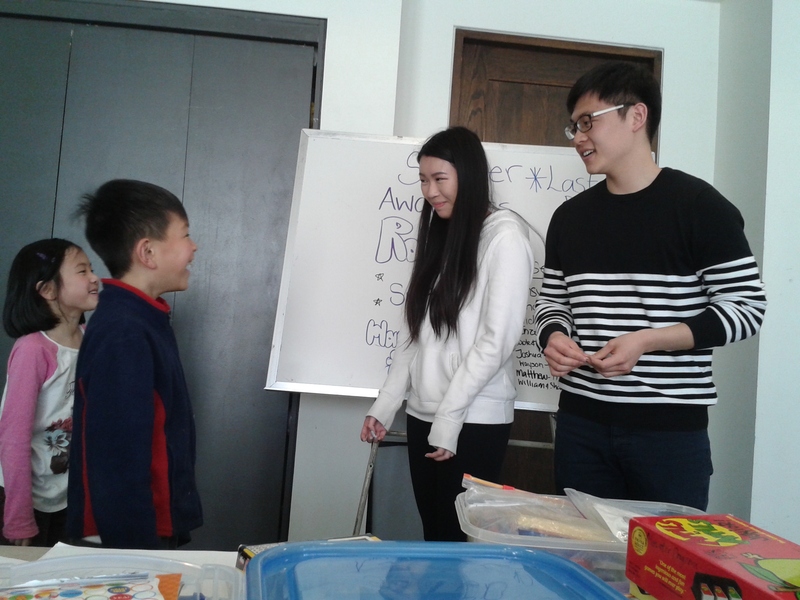 The Mentor Program exists to support newcomer Chinese children to improve their English language skills and to help them feel more comfortable living in a new country and culture. Our Mentor Program succeeds thanks to our enthusiastic and engaged volunteers. Volunteers provide a supportive learning environment, enjoy working with children, are friendly and patient, fluent in English, and can explain concepts in various ways. Our mentors enrich the children’s experiences while building their own tutoring skills. High school volunteers also earn community service hours. Volunteers must commit to at least one shift per week, Mondays to Thursdays, 4:00 pm to 6:00 pm and must be 15 years or older. Lessons are prepared by the program coordinator. Volunteers work with 1 or 2 children, aged 6 to 12, to tutor them in English, as well as participating in fun group activities.